Offering you a complete choice of products which include black pepper sorting machines, brown pepper sorting machines, cumin sorting machines, dehydrated green pepper sorting machines and green pepper color sorter dehydrated. 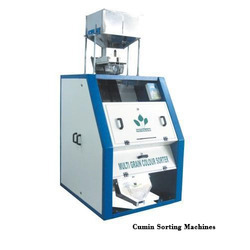 We are offering Cumin Sorting Machines to our esteemed customers, which help in removing impurities like stone and foreign materials. 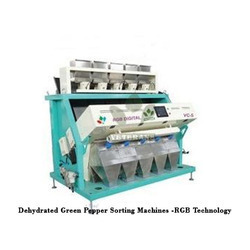 These machines can be mounted on feeding elevator and can work independently without auxiliary equipment. 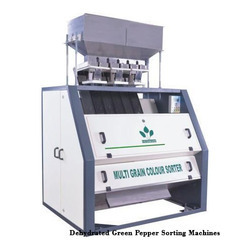 This is widely used in seed, spices & grain industry and is ideal for sorting different spices. Can be able to sort Dark Green accepted one from light yellow color shades which gives best price in the market. 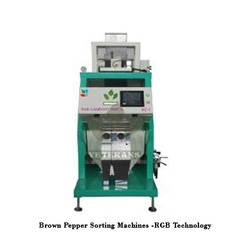 Can be able to sort yellow from green, black & brown colour.